The Blue Cash Preferred® Card from American Express and the Blue Cash Everyday® Card from American Express no longer dole out unlimited bonus rewards on groceries. Now you can earn the higher cash-back rate only on the first $6,000 you spend per year at U.S. supermarkets (then 1%). But spending caps and all, these cards may still be your best bet for maximizing rewards on everyday grocery purchases. Offer for new cardholders $200 statement credit after you spend $1,000 in purchases on your new Card within the first 3 months. Terms Apply. $150 statement credit after you spend $1,000 in purchases on your new Card within the first 3 months. Terms Apply. 1. Lots of earnings on groceries: Even with the spending caps, these cards still offer bigger cash back rewards on groceries than much of the competition. The Blue Cash Preferred® Card from American Express earns 6% cash back on up to $6,000 spent at U.S. supermarkets annually (then 1%), and the Blue Cash Everyday® Card from American Express earns 3% cash back at U.S. supermarkets up to $6,000 spent annually (then 1%). 2. Bonus offers for newcomers: Both cards offer bonuses for meeting spending minimums in your first few months. 3. No rotating rewards: Sometimes, simple is just better. If you hate keeping track of unpredictable earnings categories, the easy-to-understand earning structures on these cards may make them easier for you to use. 4. 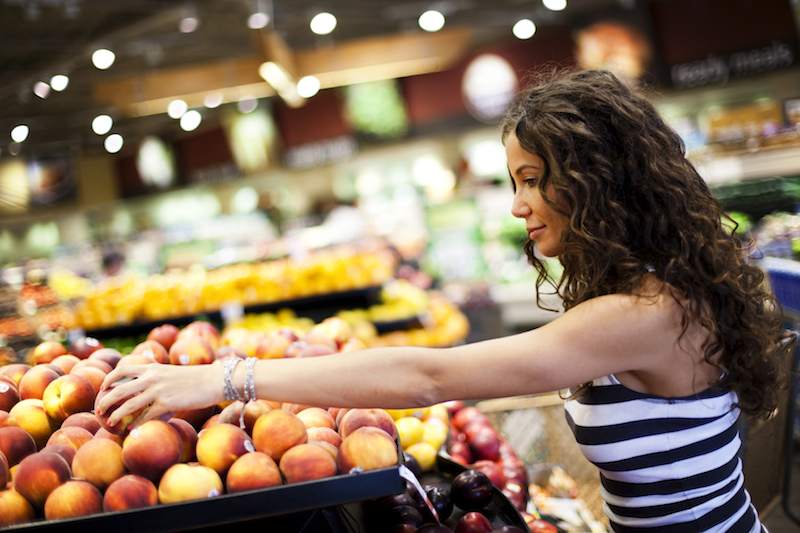 Options for different spending styles: You don’t have to be a big spender to get excellent grocery rewards. With the Blue Cash Preferred® Card from American Express, you’ll come out ahead if you spend at least $31 a week on groceries. And if you shell out more than that, it can boost your earnings even higher. The Blue Cash Preferred® Card from American Express and the Blue Cash Everyday® Card from American Express aren’t for everyone. If you do all your grocery shopping at a place that isn’t a standalone supermarket, such as Walmart or Target, or if you want to earn more cash back in other categories, consider going with a different offer. With rotating rewards categories, the Chase Freedom® offers 5% cash back on up to $1,500 in select categories per quarter (which adds up to $6,000 a year, matching American Express’s cap). Sometimes, these categories include groceries. If your spending needs align with these quarterly groups, you may be able to earn more cash back overall than you would with other cards. With the U.S. Bank Cash+™ Visa Signature® Card, you choose two categories to earn 5% back on up to $2,000 in combined net purchases per quarter, then 1%. You’ll also earn 2% cash back on your choice of an everyday category – which, in this case, could be groceries. Because there’s no limit on how much cash back can be earned in total, this card may offer larger returns in the long run for people who spend more at the supermarket. You can earn a flat 1% cash back per dollar spent on the Citi® Double Cash Card – 18 month BT offer, plus another 1% on every dollar you pay off. Because there are no limits on how many rewards you can earn, you don’t have to worry about spending more in certain categories or hitting any spending caps. You may earn more cash back in the long run this way – especially if your spending is more diversified. At the end of the day, if you want a good grocery rewards credit card, the Blue Cash Preferred® Card from American Express and the Blue Cash Everyday® Card from American Express are hard to beat. If you spend less than $6,000 a year at U.S. supermarkets, the spending caps won’t make a difference to you. And if you spend more, you may still be earning more cash back on groceries than you would with other cards.